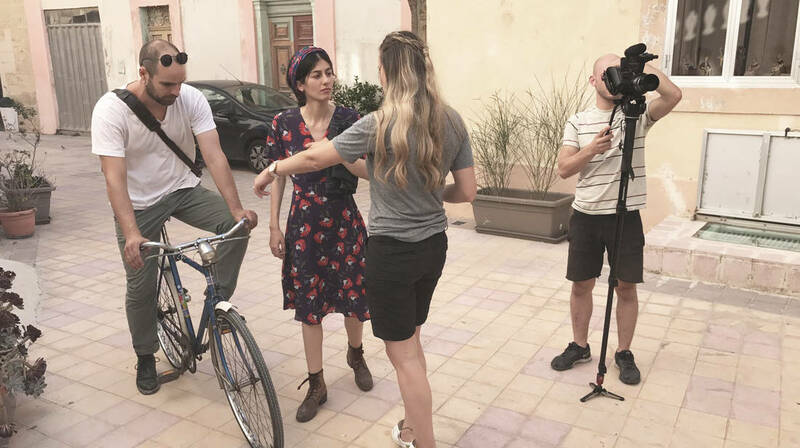 The Valletta 2018 Foundation is giving three young film makers the opportunity to turn Maltese Poetry into film by means of the Poetry on Film project during the Malta Mediterranean Literature Festival. Held in collaboration with Inizjamed, Poetry on Film merges moving image with Malta’s rich literature through the adaptation of Maltese poems into short films. This project aims to develop the poetry and film sectors in Malta through training, as well as the commissioning and exporting of short poetry films which premiere at the Malta Mediterranean Literature Festival. Following a seminar held earlier this year two Maltese poems were chosen; “Relazzjoni” by Maria Grech Ganado and “Fuq Għoljiet Dingli” by Victor Fenech. Three up-and-coming film makers have been selected to visualise the two mentioned poems. Grech Ganado’s “Relazzjoni” has been produced by Nicky Aquilina & Lyanne Mifsud whilst Fenech’s “Fuq Għoljiet Dingli” will be presented by Trevor Borg. Both productions have placed the poems at the heart of their short films. Victor Fenech, author of “Fuq Għoljiet Dingli”, will feature in Borg’s production and will serve as a catalyst for what’s to come during the film. Each verse of the poem is set to accumulate time and distance which is portrayed by showing Fenech walking in Dingli. With each step that he makes more and more of the poetry is beautifully revealed to the viewer. On the other hand, decadence is the main theme for the second production, which is wonderfully captured by Mifsud and Aquilina in their visual interpretation of Grech Ganado’s poem. This idea of excessive indulgence is portrayed through scenes involving everyday life that come to a climax, driven by tone and temperament. The film follows the ideology of a circle, taking the viewer back to the starting point. This will be the fourth time that Valletta 2018 will be involved in the Malta Mediterranean Literature Festival. In collaboration with Inizjamed, Valletta 2018 offers the opportunity for artists to collaborate and create across a spectrum of different artistic disciplines and media with the element of poetry providing young artists new opportunities for experimentation. The two films, forming part of the project Poetry on Film, will be shown during the Festival this August at Fort St. Elmo from 8pm onwards.